I lost my Dad back in Jan. I have been trying to find a way to remember him, you know a tattoo, pics, etc. 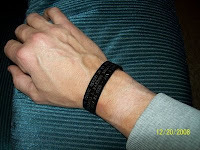 This Memorial Bracelet is the perfect way for me to do that. This bracelet is pretty much what the web page said it was going to be like.